The nickname given to King Ethelred (who ruled England from 978 to 1016) is one of the great jokes of British history. This was the king who was so unprepared for what was going to happen that he would forever be known as “Unready”. Ethelred – Ready for Nothing? Maybe, but that is not what the name meant. A better translation of “unred” is “ill-advised” and the nickname was a pun on his own name, which meant “well-advised”. It was only after his death that “Unready” was added to his name, and it was done so as a condemnation of his behaviour. It was not as much that the advice was bad but that he failed to take heed of advice that was good. Ethelred was certainly no great shakes as a king. England was coming under considerable pressure from the Danes who had left England in peace for decades but sensed an opportunity for plunder now that a weak king was in charge. Ethelred displayed incompetence as a military leader and seemed to manage to have his army in precisely the wrong part of the country whenever a new raiding party turned up. Perhaps there was indeed a sense in which he was “unready” in the generally understood meaning of the word. There had been Danes living in England for many years, these being concentrated mostly in the eastern part of the country known as the “Danelaw” because English law was not enforced in those areas. Ethelred decided that the Danes already settled in his country were a dangerous fifth column and must be removed. In 1002 he therefore ordered their wholesale destruction. This was a disastrous step to take. For one thing, it was guaranteed to infuriate the Danish raiders even more, and for another there was little chance that the policy would work. Ethelred could never have carried out this act of ethnic cleansing without the support of his lords, and only a few were keen to participate. Some local scores were settled, but that was about it. However, one victim of the massacres that did take place was Gunnhilda, the sister of Sweyn Forkbeard, the Danish king. Sweyn was determined to punish Ethelred for this act, and, after several campaigns, he did so. Ethelred was forced into exile in 1013. 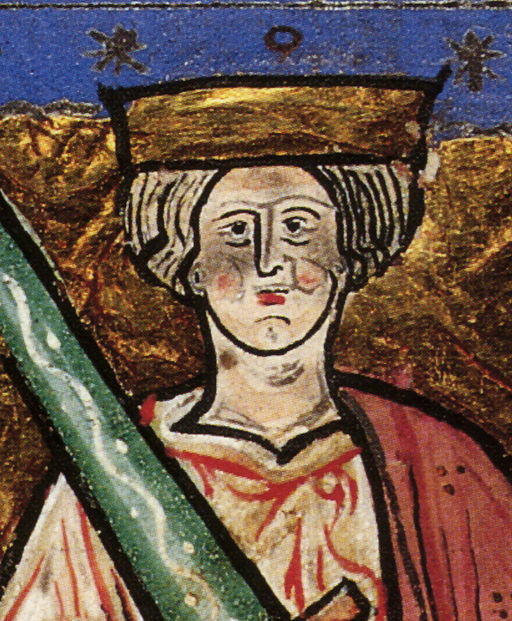 On Sweyn’s death in 1014 Ethelred had to negotiate with the Anglo-Saxon council of lords (known as the Witan) to be allowed back into the country to resume his monarchy. He had to promise that he “would govern more justly than he had before”, and this is therefore the first example in British history of a king agreeing to rule with the consent of the ruled. Ethelred’s resumed rule did not last long because he died in 1016, and so did his son Edmund later that same year. Sweyn’s son Cnut then became king to make England part of the Danish empire for a time. Ethelred was one of the worst kings to rule during the pre-Conquest period and he well deserved to be remembered with an unflattering nickname.